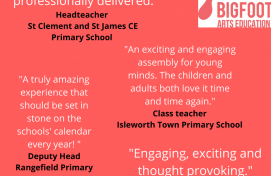 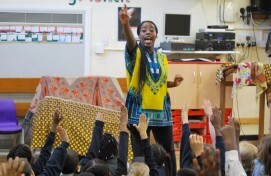 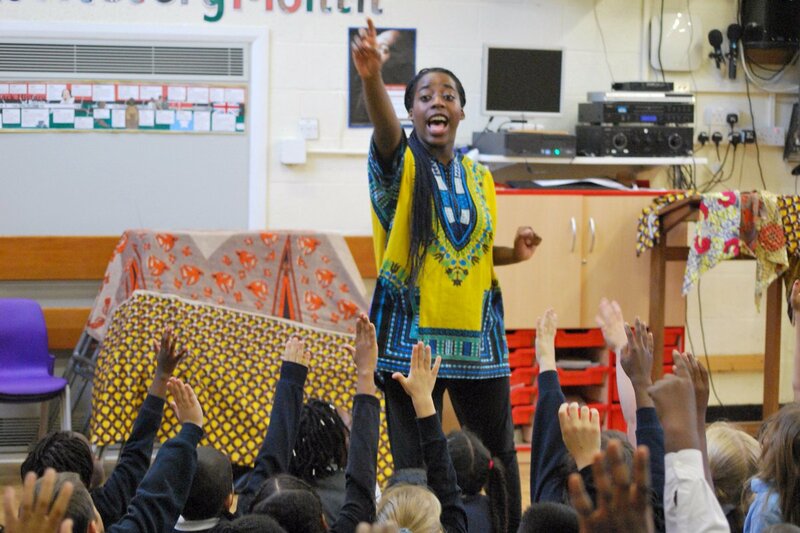 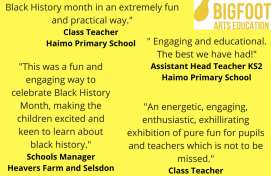 It’s been another fantastic and successful Black History Month this year as we celebrated with over 35 schools, delivering more than 50 inspiring workshops and assemblies. 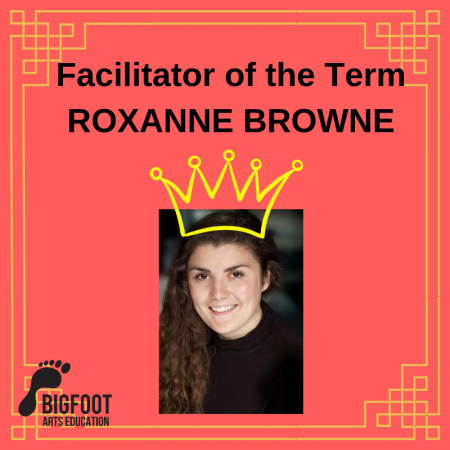 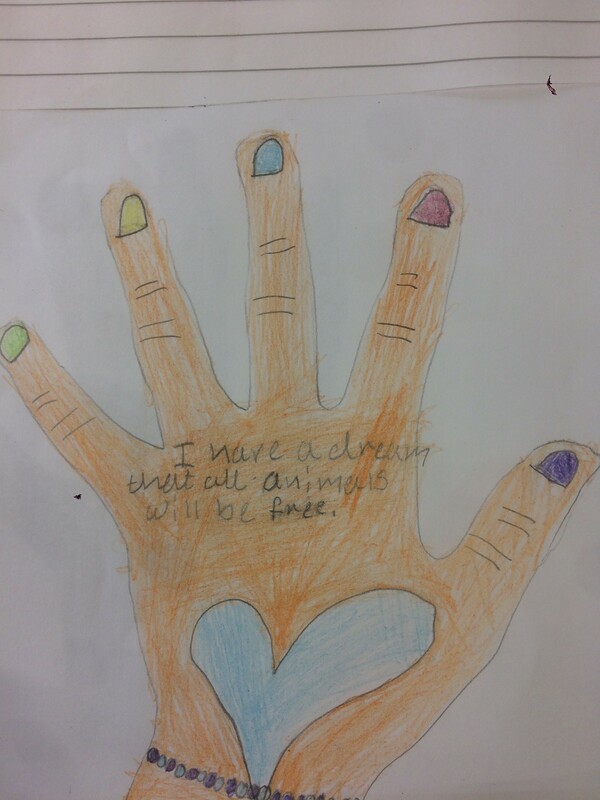 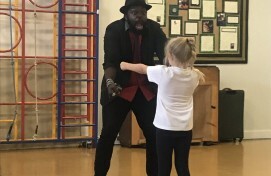 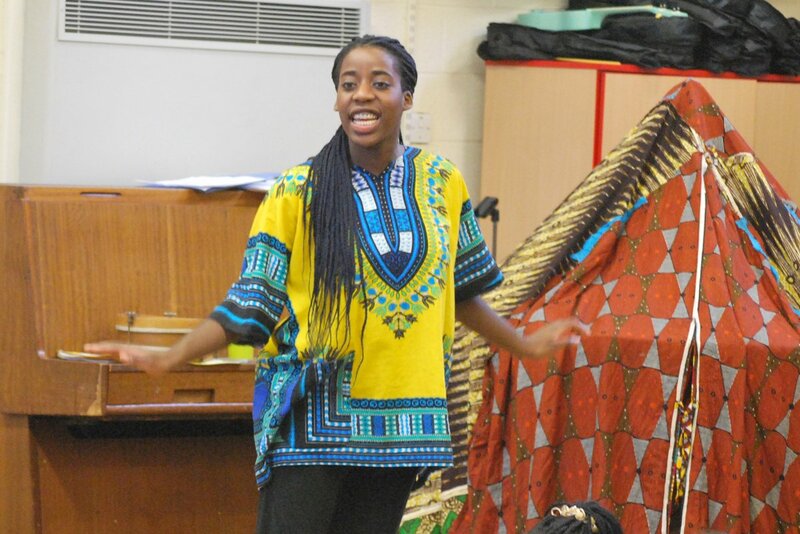 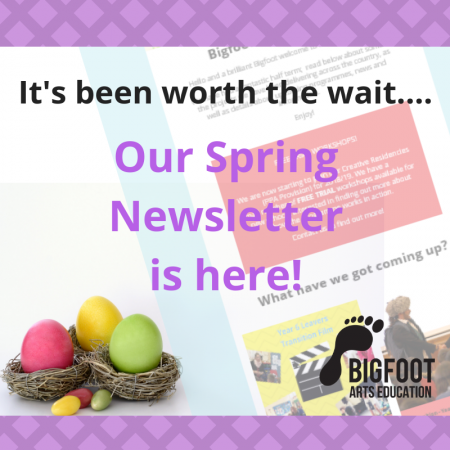 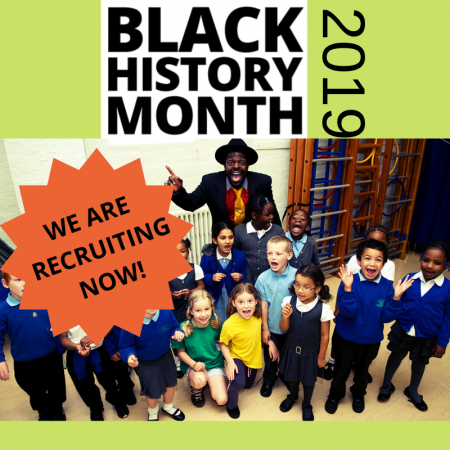 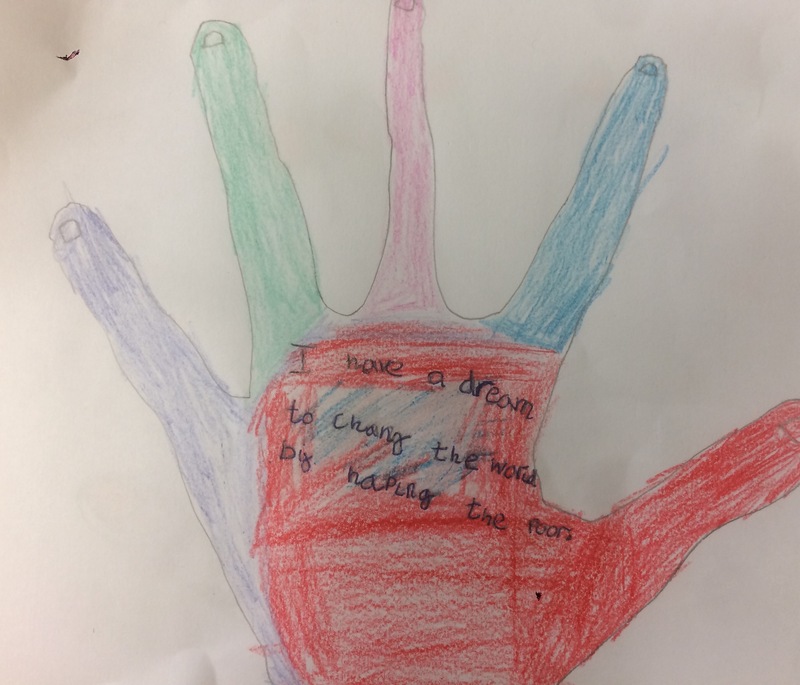 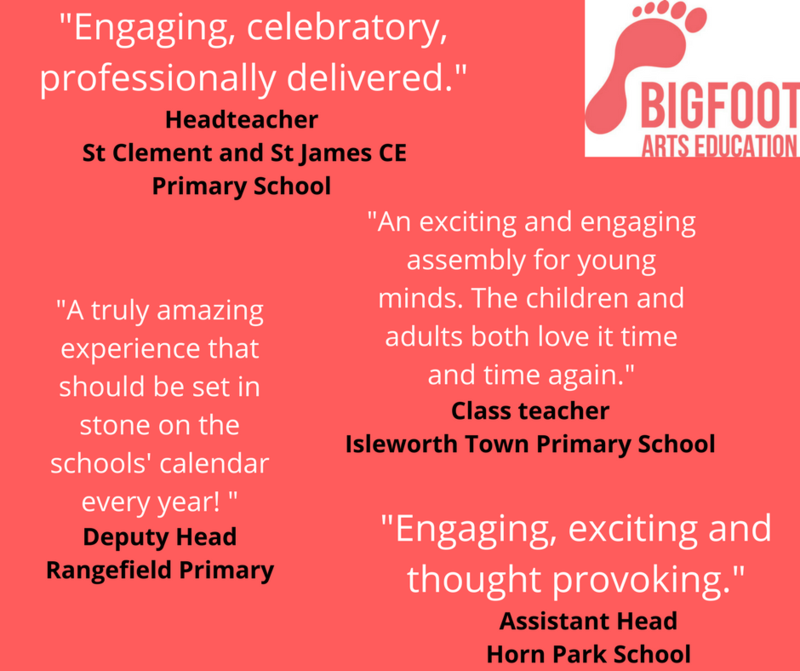 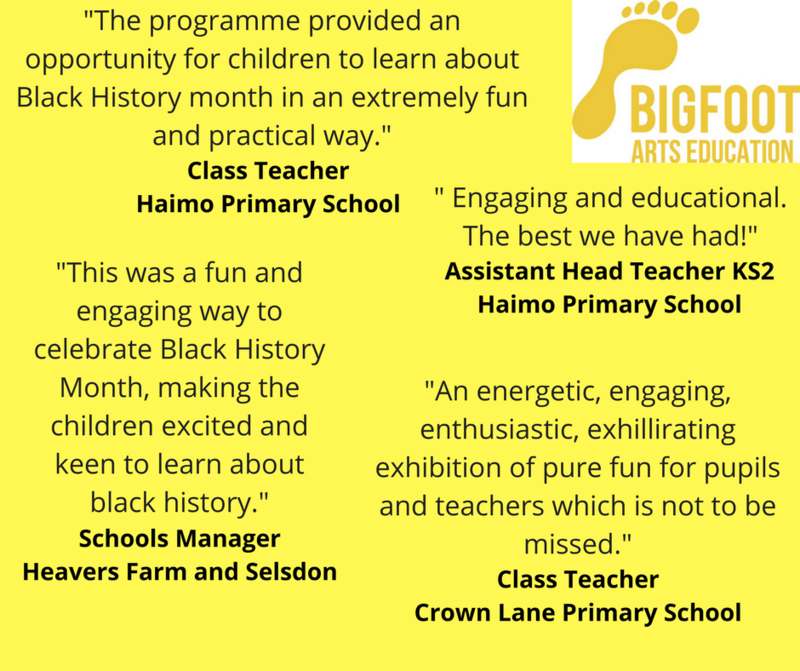 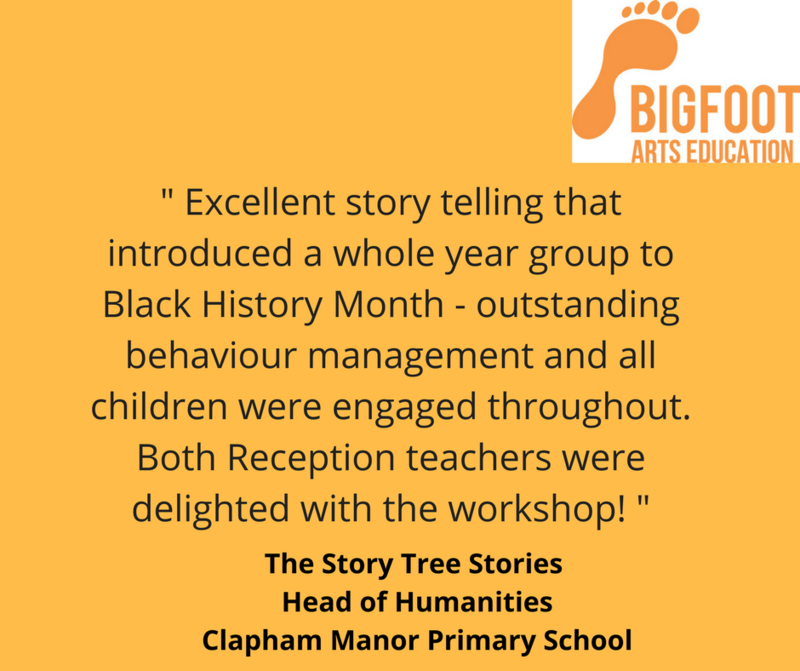 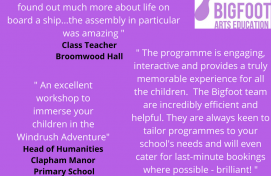 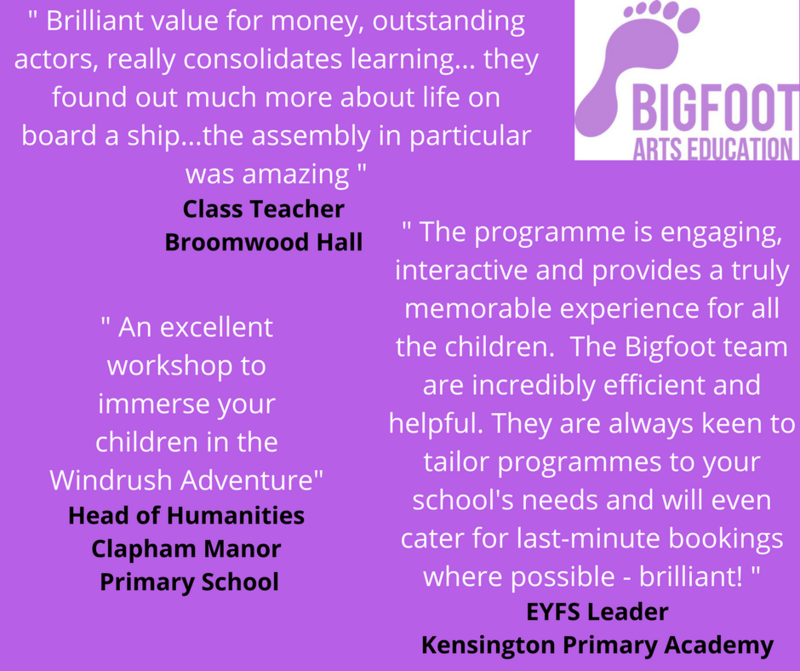 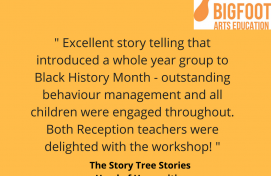 Our enthusiastic Bigfoot facilitators have enabled young people to learn about Black History in an engaging and informative way through story telling and interactive workshops. 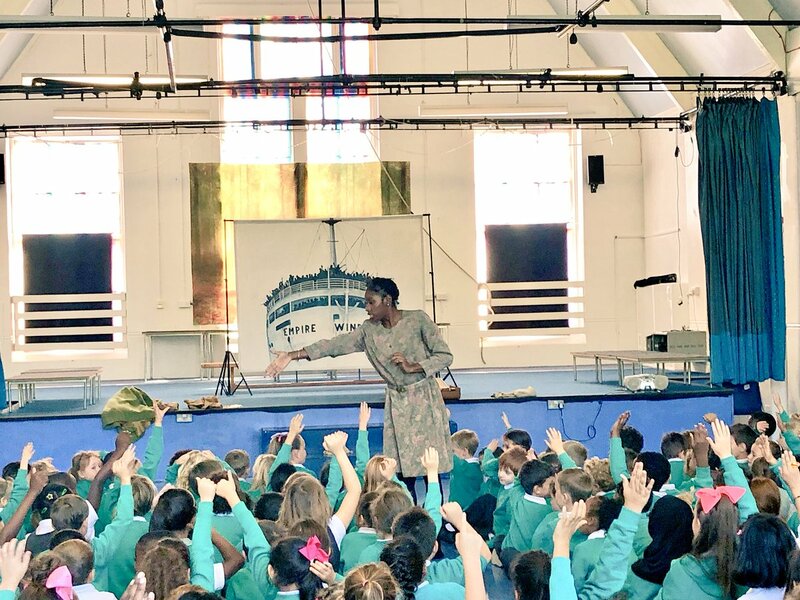 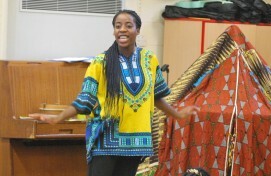 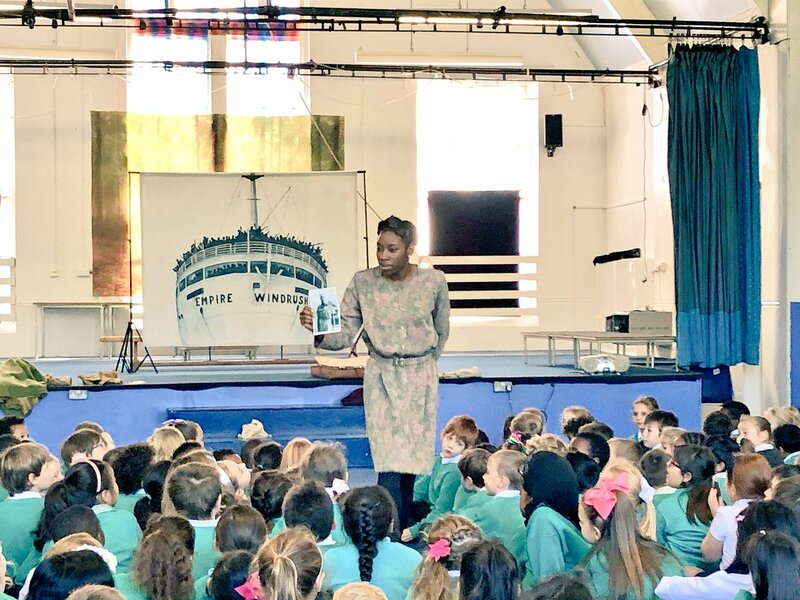 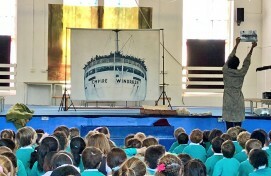 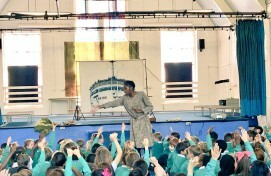 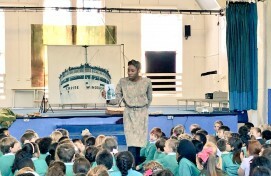 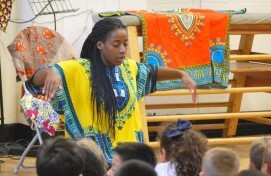 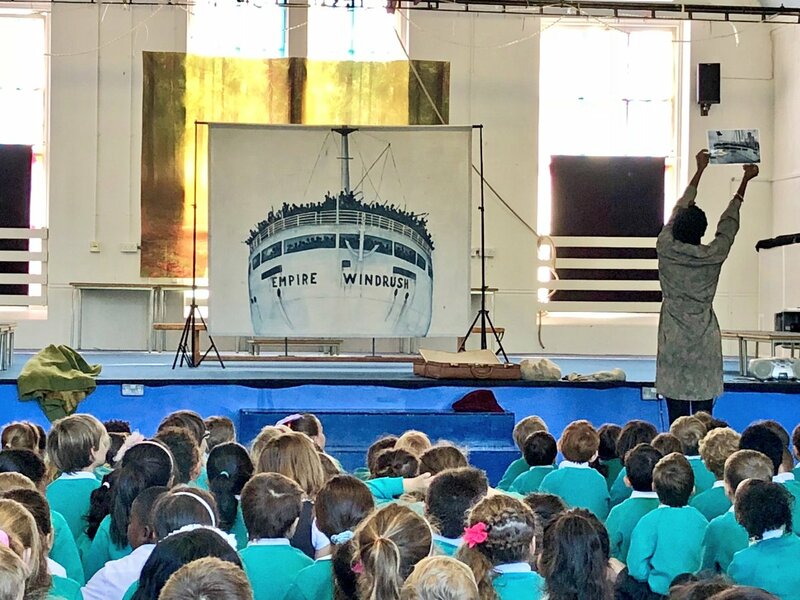 We’ve had Bigfooter’s tour across schools to share the stories of what life was like aboard the Empire Windrush during the voyage to Tilbury in 1948 and breathe life into folk tales of old by embracing the influence of Indian, Chinese and African cultures present in the Caribbean countries of Trinidad and Guyana today. 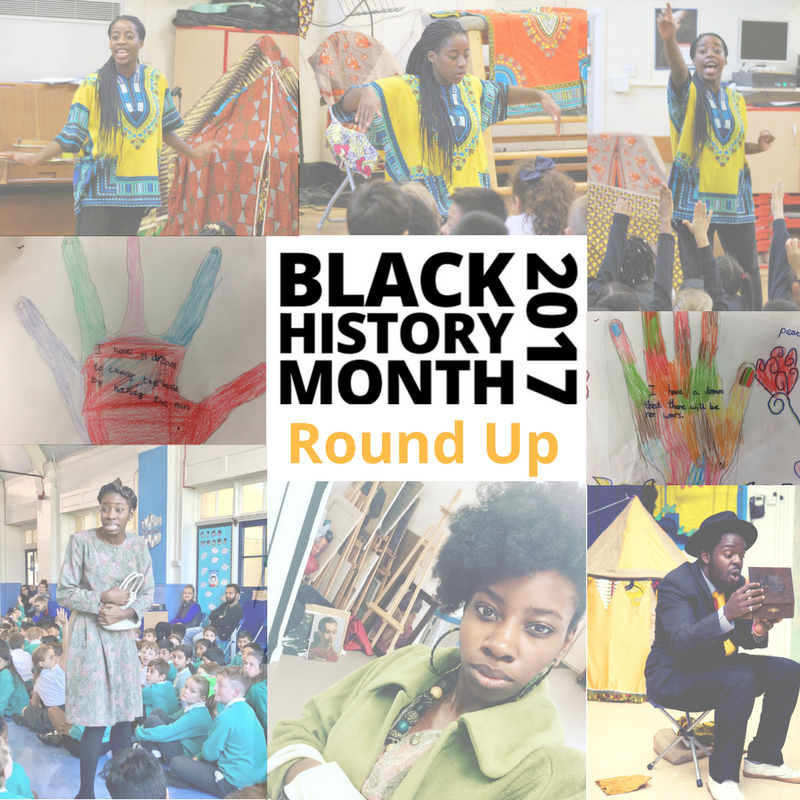 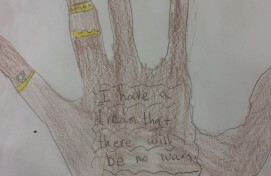 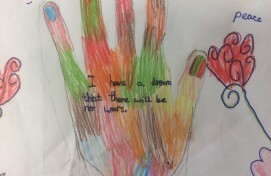 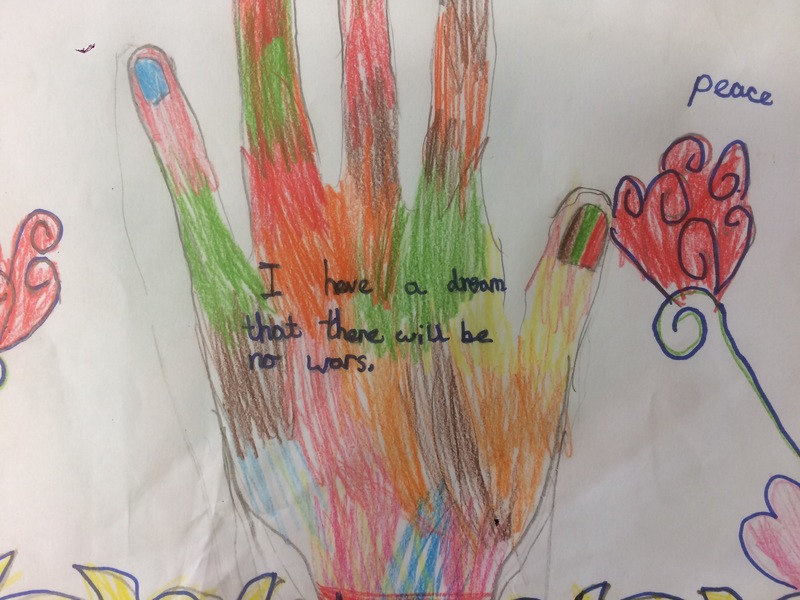 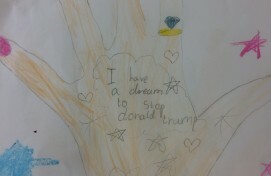 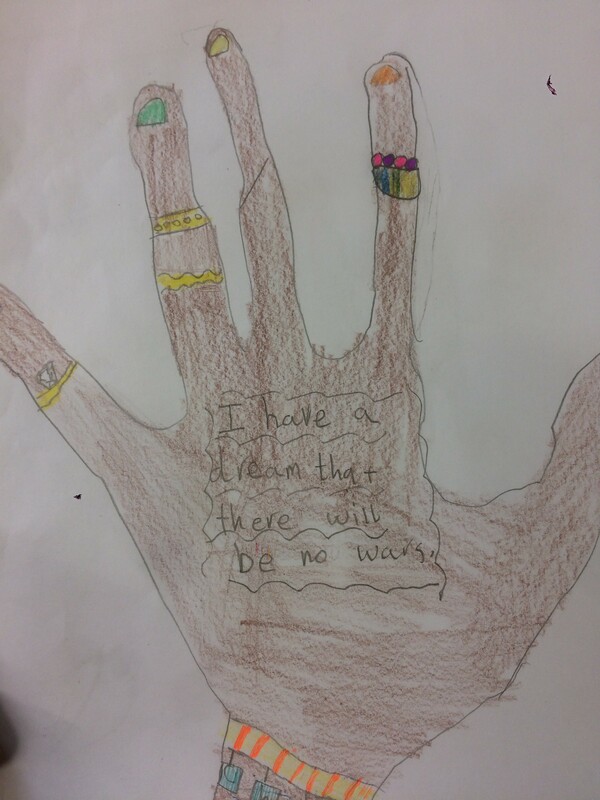 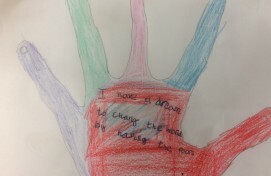 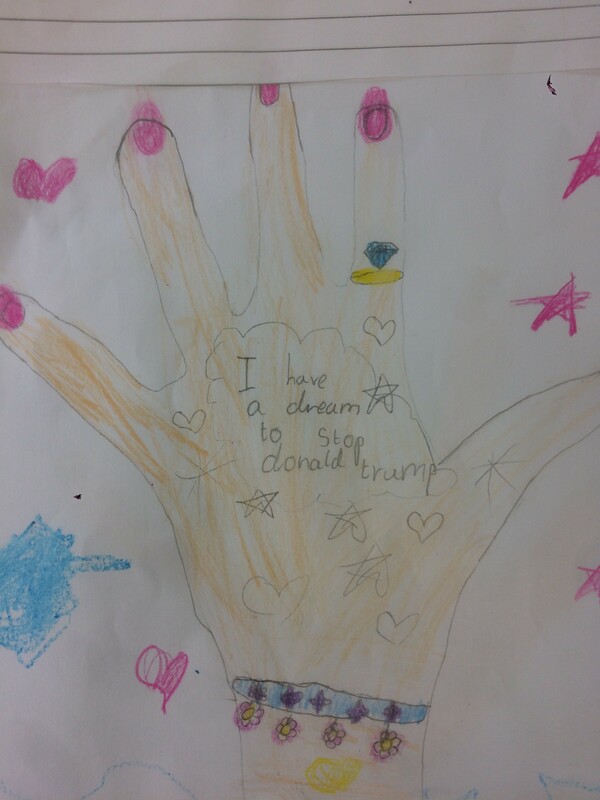 Students have also been inspired by learning about black role models past and present and have produced their very own inspiring work. 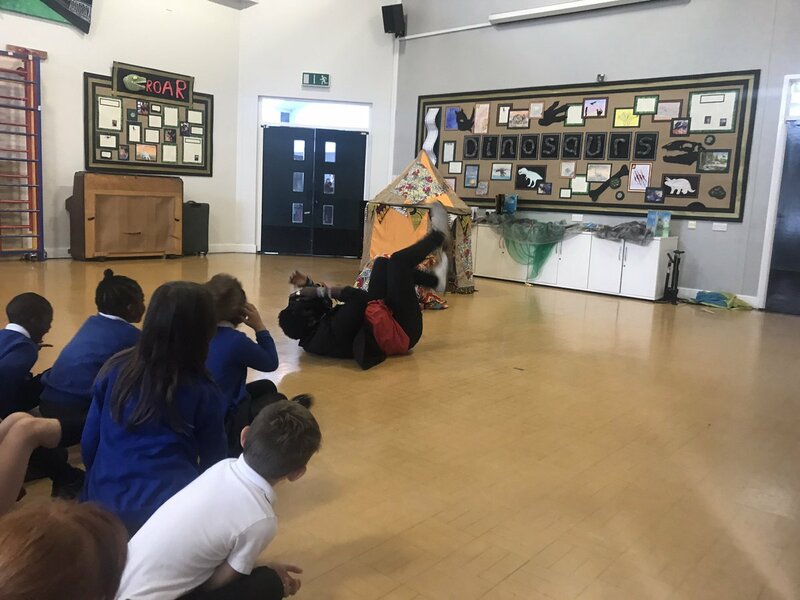 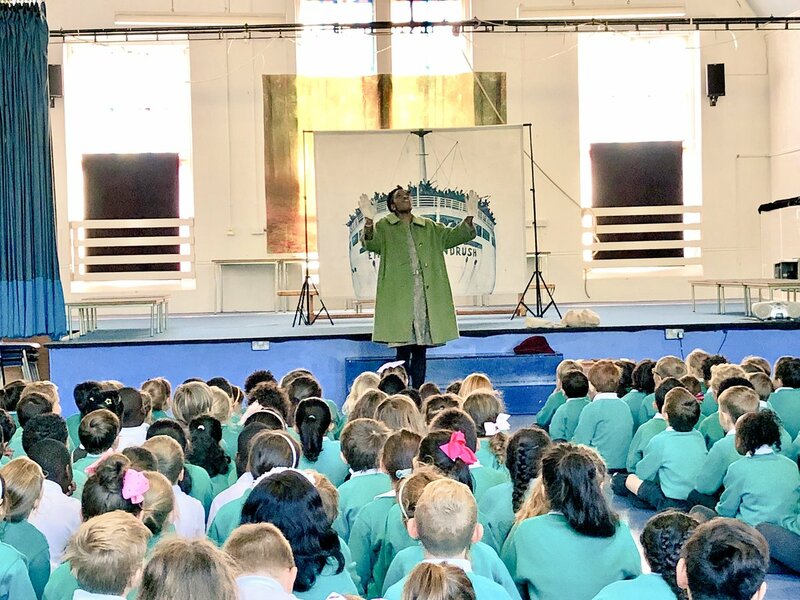 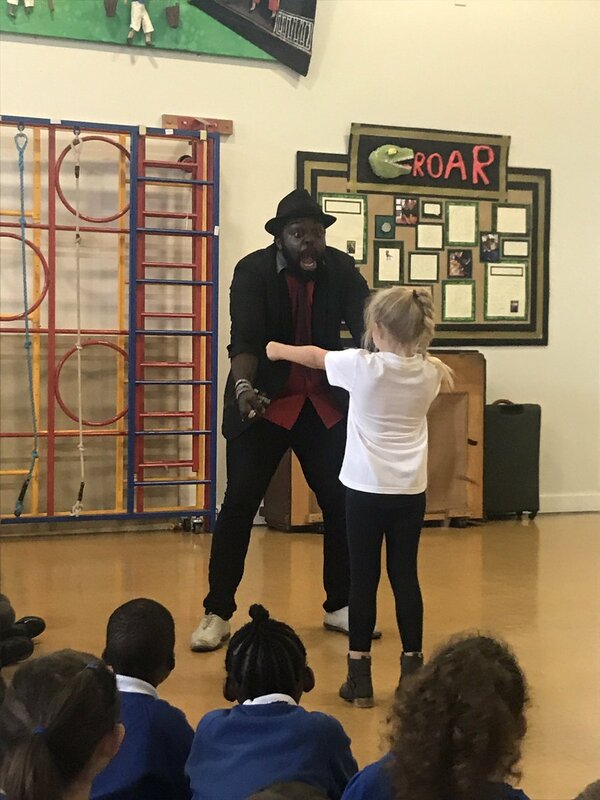 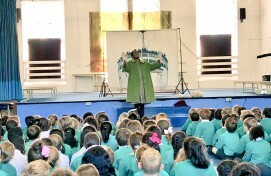 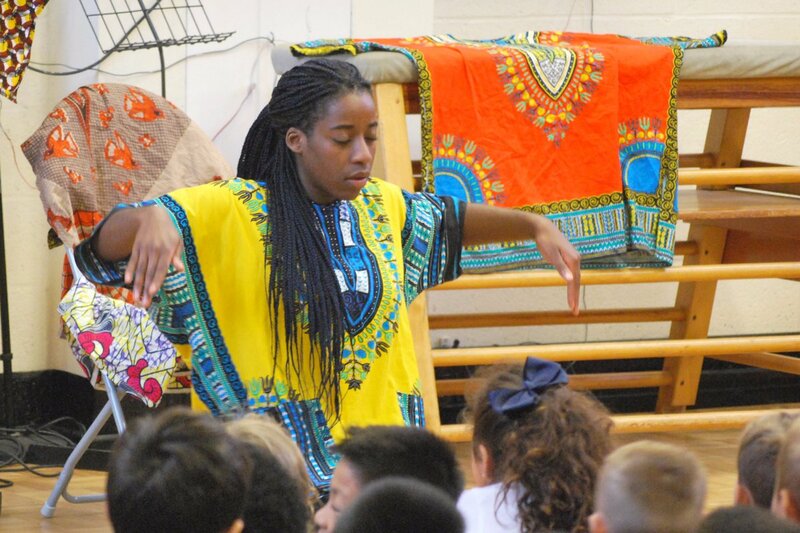 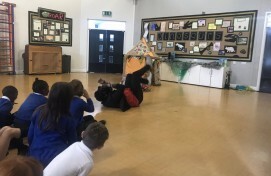 Meanwhile, Anansi came to life as he dropped into schools, taking children and adults on a lively story adventure filled with vibrancy and energy as he shared many tales from the Caribbean and Africa.